All about Chemtrails : Infra red thermal reading shows that trails heat the earth! Look at this video bellow. The Original video you can see the numbers on temp gun , but it would have took 30min. to upload. So i will do this now but the Temp on Chemtrail is Hotter than the air. Anywhere from 10°-30°F. My temp gun jumps from -8°F On chemtrail to -30°F OFF chemtrail. There dumping aluminium into air. Its like making a huge solar can collector. Just baking us. Look at it. No cloud features at all. Do real clouds even exist anymore? Infra red thermometer work by measuring how much infra red come into the device. 2. How does IR work? This infrared "invisible heat" of an object is transferred in three ways: Reflected, Transmitted, and Emitted. Reflected energy is not particularly related to the temperature of the target object, and transmitted heat is related to the both the internal temperature of the target object and the temperature of the "transmitted to" object. The only type of energy that can be used to tell that actual surface temperature of the object is Emitted energy. When IR thermometers are used to measure surface temperature they can potentially sense all three kinds of energy, therefore all thermometers have to be adjusted to read Emitted energy only. Measuring errors are often caused by IR energy being reflected by light sources. The above link also mention other important factor for correct temperature measurement, but it also indicate that this meter can be used to measure the temperature coming from the trails. Please keep in mind that the meter measure the resultant temperature that happen because of the trails existance. 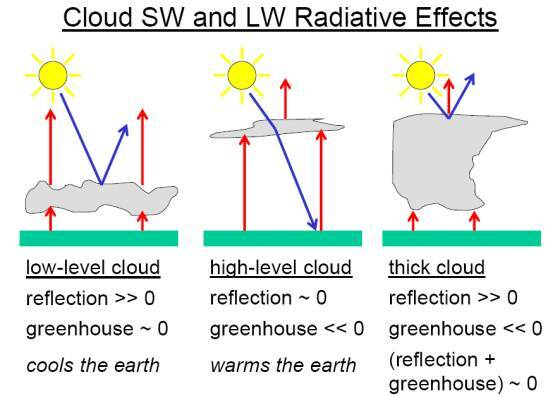 It do not measure the temperature of the clouds, not the temperature at the clouds altitude, but measure the heat emission caused by clouds reflection, the effect mentioned in point number 3, emissivity. It measure the heat accumulated because of refraction / reflection of clouds existance. The heating effect of contrails and their cirrus clouds have been investigated by scientists and academists. 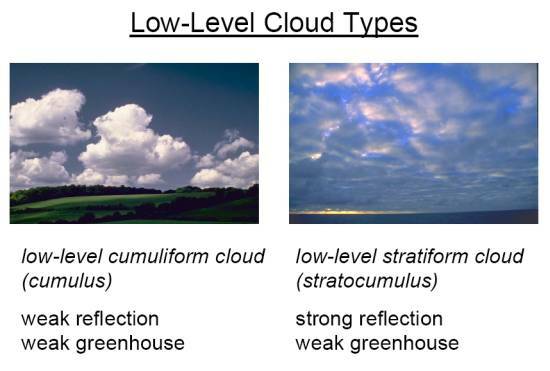 “At cruise altitude, apart from CO2 it is above all NOx, water vapour, contrails and cirrus clouds that contribute towards the greenhouse effect. 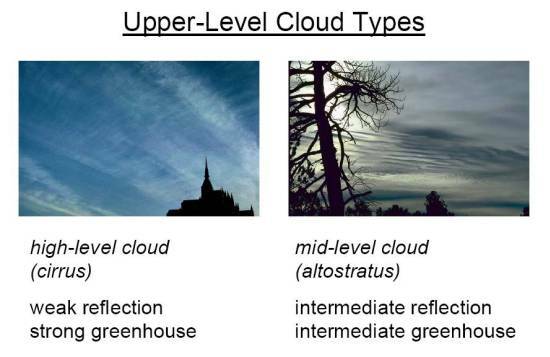 According to the latest scientific knowledge from the TRADEOFF Project, it is assumed that aviation-related aerosols act as seed crystal in the formation of cirrus clouds (Mrasek 2003). Several studies have reached the conclusion that a positive correlation exists between aircraft emissions and growth in cirrus clouds. 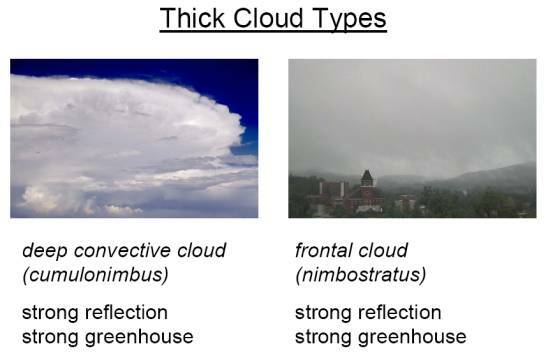 Cirrus clouds intensify the greenhouse effect, because, similar to contrails, they reflect radiation onto the earth. Persistent contrails reduce not only solar radiation onto the earth’s surface, but also the quantity of long-wave radiation from the earth into outer space. 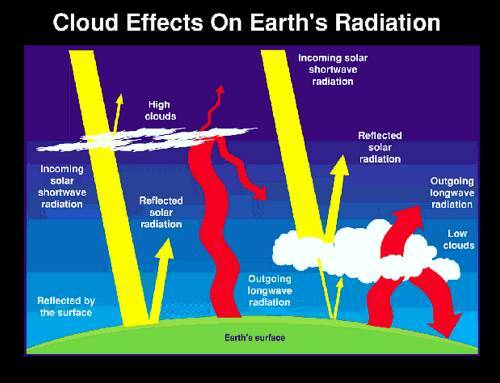 On average, they increase the greenhouse effect, in particular during the night and over warm and light surfaces. 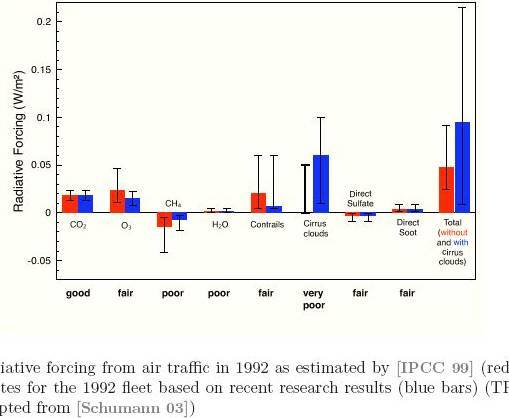 It turned out that, for all periods of observation, the radiative forcing of contrails is greater that that of CO2. All the above report indicate that contrails and contrails cirrus (cloud made by contrails) do heat the earth. If United Nation is really concerned about global warming or climate change, contrails should have been regulated / mitigated too. But lack of concern show something is very wrong. This product is compact, lightweight, and easy to use.